As we get into second half of the 2018-2019 school year, we're starting a new series on online resources for school aged kids! Each post will focus on one electronic resource, along with some cool new information that can be found there. Today's post is all about World Book Kids- a brightly colored, interactive informational site from the creators of World Book. World Book Kids features a task bar allowing the user to visit areas including “pictures and videos”, “activities”, “important people”, “science projects”, and more. It's a great starting place for games to combat boredom, or mini-biographies to jump start a report! It’s as easy to use if you are looking for a specific photo for an informative poster for class or if you are browsing for fun facts. Its articles offer many kid-friendly features, such as supplying the definition of a word when it is highlighted. For kids doing a report or those who are simply interested in more information on a subject, related links are available. It's easy to click over to World Book Student, for those looking for a little more detail. 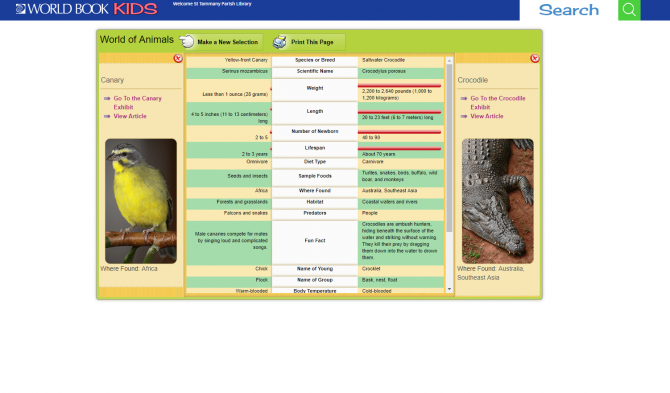 In the “World of Animals” section, an entertaining compare & contrast feature allows kids of all ages to view side-by-side facts on a variety of creatures. Compare anything from an elephant vs. a mastodon to a canary vs. a crocodile! 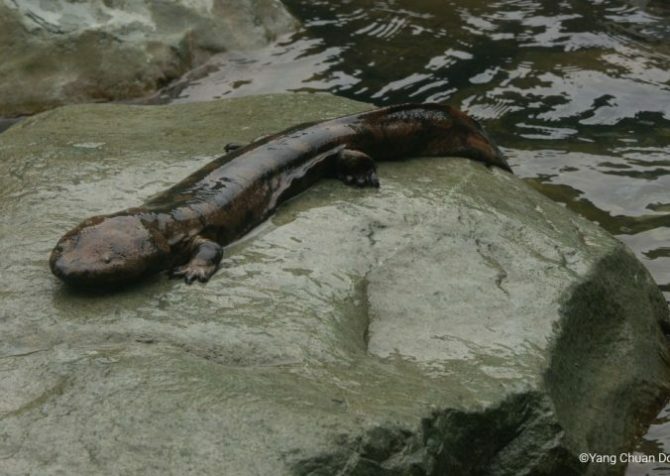 While playing around with this feature, I came across the discovery that led to the creation of this blog post: the Chinese giant salamander. The compare and contrast section offers astounding comparison between this creature, which can grow to over six feet long and a hundred pounds, to the more common salamander, an unassuming amphibian that can merely grow up to five inches and one pound. Locals refer to it as the “baby fish,” due to its cries sounding eerily like those of a human child. Whoa! A six foot long, fleshy beast that mimics human cries?? No need to worry. 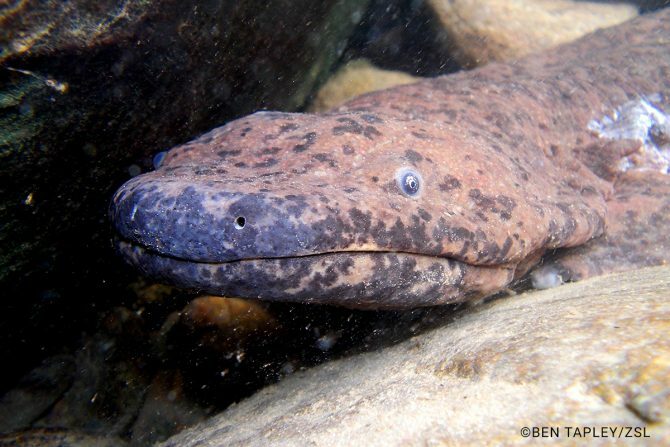 Although its appearance is that of a swamp monster, the Chinese giant salamander is not native to Louisiana’s bayous. As its name suggests, the cold-blooded, slimy creature is only found in China. Sadly, it is widely hunted there for its meat and is in danger of extinction. These links in this section offer further photos and information on these fantastic beasts including why they are endangered and conservation efforts- which recently included releasing 1,200 of them into the wild. More information about this creature can be found through its article on World Book Kids and related links are offered for more in depth resource. No matter what the topic of the report or presentation, World Book Kids is a great starting point for facts and photos in an easily accessible and engaging format.